Likewise, kombucha has had a great rise in popularity recently, as more and more people are getting into fermented foods and health foods …. Booch is one of the best (and tastiest) ways to get your probiotics and make your gut happy. The Boochcraft company combines the best of both worlds: a healthy probiotic with a boozy kick, made locally and sustainably. In just the last few months – they’ve been open for two years but the first bottles didn’t hit the stores until March 2016 – they’ve become one of the area’s fastest-growing breweries. I met with Adam Hiner, the founder “and stuntman” for Boochcraft, and he told me about how his passion for the stuff has led him to so much success. After sitting down with his friends to discuss business ideas, they decided to make their kombucha with an extra-high alcohol content to make it even more marketable. 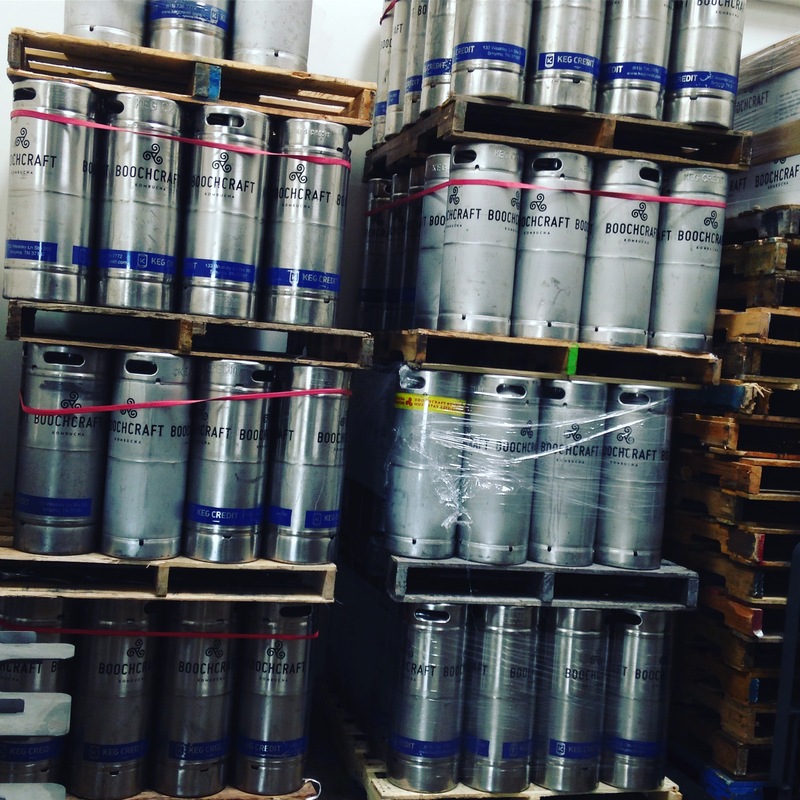 Once they finalized the best way to make healthy kombucha extra alcoholic, they inked a distribution deal with Stone Brewers, and San Diego culinary history was made. Homemade kombucha usually has a very low alcohol content – between .5 and 1 percent. If you buy regular kombucha in a grocery store, expect it to be regulated — even though the alcohol content is minimal, any alcohol at all makes it the government’s business and they might ask for ID or stick an extra tax on it. Most grocery stores and health food stores carry a large selection of brands like GT’s, Synergy, KeVita and Celestial Seasonings. Boochcraft, while it is starting to expand distribution to grocery stores, is sold like beer – the variety of flavors are in the beer section of your local liquor store, fully sold alongside a selection of big bottles of IPA’s and stouts. 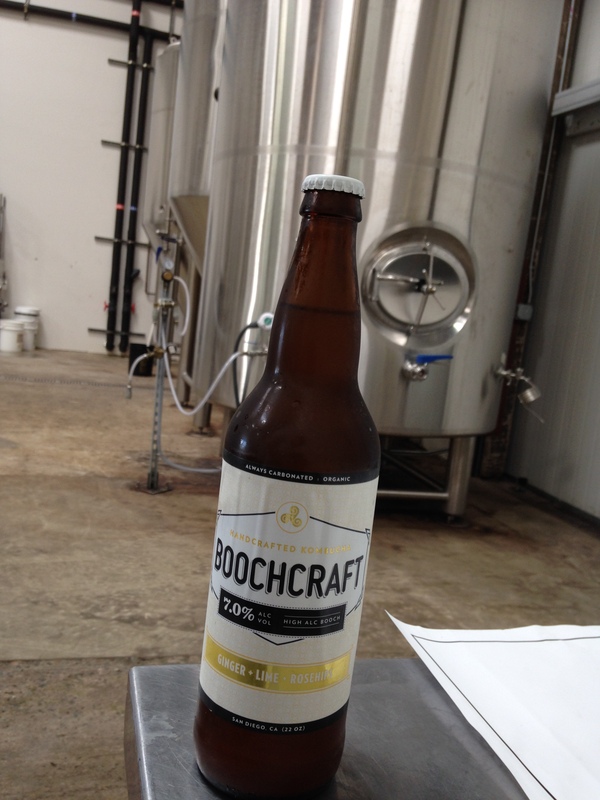 Unlike GT’s and KeVita, Boochcraft’s alcohol content is 7%. 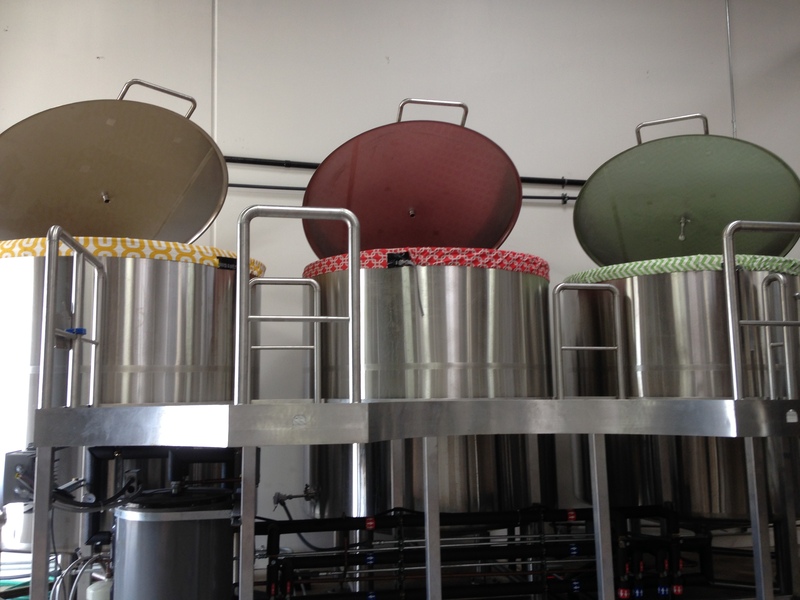 The “first ferment” – the tanks are covered with cloth to keep out insects and debris, but still allow the fermentation to occur. If you make kombucha at home, you can usually have something to drink within 2-3 weeks, and you can make it fairly easily with tea, sugar, and a SCOBY – generally there is a “first ferment” with tea and sugar, then a “second ferment” to make the booch extra bubbly. Because not all yeasts can tolerate kombucha and the process of making it, Boochcraft needs a few extra steps to make it extra boozy. Boochcraft is made very similarly to how you’d make booch at home, except they add champagne yeast to the second ferment and let it ferment about 5-7 days extra. The total process – from purifying their own water to adding the fruit juices after the second ferment – takes about a month. The flavors are added at the very end, just before the kombucha is put into bottles and kegs for distribution. Right now there are four flavors of Boochcraft: ginger/ lime/ rosehips, watermelon/ mint/ chili, grape/ coriander/ anise, grapefruit/ heather/ hibiscus and tangerine/ turmeric/ ginger. The tangerine flavor is a limited batch, but it will be coming back into production soon and will be back on the shelves in December or January. In the meantime, keep your eyes open for the new apple/ lime/ jasmine flavor, hitting stores later in October 2016. This entry was posted in breakfast, condiments, cooking, fermenting, food, kombucha, October Unprocessed, preserving, sponsored posts, unprocessed, vegan, vegetarian and tagged Boochcraft, high-alcohol kombucha, home brewing, kombucha, local business, San Diego Breweries. Bookmark the permalink.